Supercar Bugatti Chiron tried himself as an extreme coupe. Designer Ryan Prisk showed what a Chiron could be in the form of an extreme SUV. 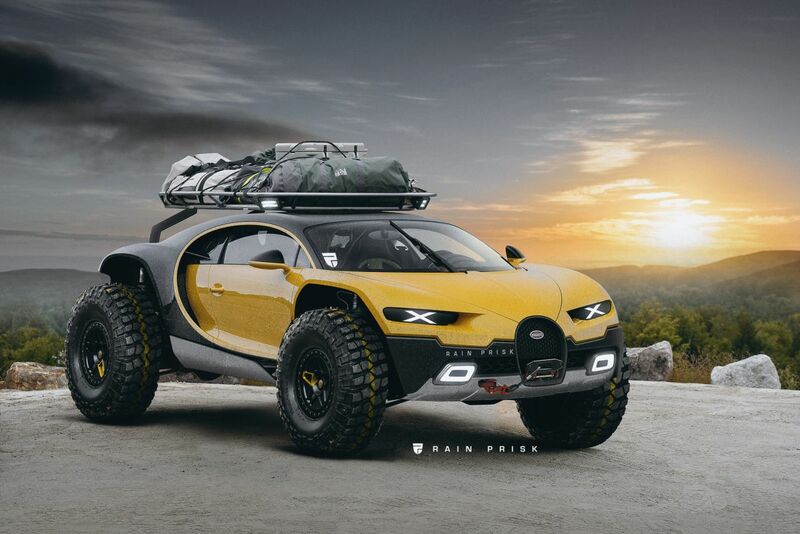 Bugatti Chiron 4x4 got increased ground clearance, large all-terrain tires, winch and other devices for extreme trips. The trunk in the car is located on the roof, as there can be placed a payload in almost unlimited quantities. Similar transformation Chiron externally implies a similar procedure inside, but Ryan Prisk, alas, showed nothing from the salon.